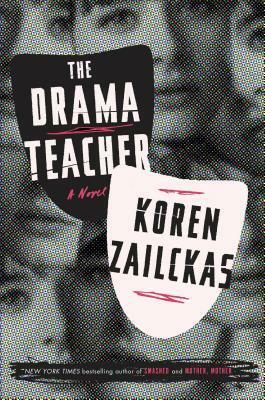 The Drama Teacher by Koren Zailckas is a highly recommended drama about a con artist. Gracie Mueller is a habitual liar, a con artist and the mother of two. She learned her craft from her father, and later her husband, Oz. Once Oz was put in prison in the UK, she took her fake passport and headed to the USA with her son where she eventually "married" Randy. Now she's the mother of two and Randy has moved to Florida for his job. Their home in upstate New York is in foreclosure, Gracie is out of money, and she needs to set up a new con to make some quick cash. She picks out a new mark, a wealthy woman, and befriends her while putting her plan into place. When an accident happens, Gracie runs away with her kids to NYC and looks for her next big score. The novel is narrated by Gracie, who is telling her present story, starting in upstate New York and through to the current situation in NYC. As she relates this, there are also flashbacks to her childhood and life before she moved to the USA, first with her father and later with Oz. It becomes obvious that she has been on the run her whole life, moving from one scam to another. She's used to changing her name and finding a way to side-step the law. At first she is not particularly likeable, but as she tells more and more of her story you will admit that, while she is a liar, often it is related to her trying to find a way to survive. The Drama Teacher is an entertaining novel, whether you like Gracie or not. The writing is excellent and I was engaged with the novel the entire time I was reading it while the plot unfolded. There are a few stretches when you may think, as I did, she's a bit too skilled in specialized technical ways to be a completely believable character, but it is fascinating. It also has a few sections that seem over-long. The ending, however, will totally make up for it. This is a great choice for a vacation read or an airplane book. It is going to hold your attention and entertain you. Disclosure: My review copy was courtesy of Crown/Archetype via Netgalley.